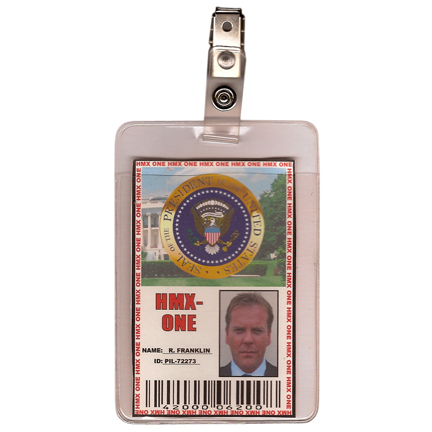 This prop “HMX-One” Presidential pass was used by the character Jack Bauer played by actor Kiefer Sutherland in fifth season of the award winning television series “24”, which ran from 2001 to 2010. 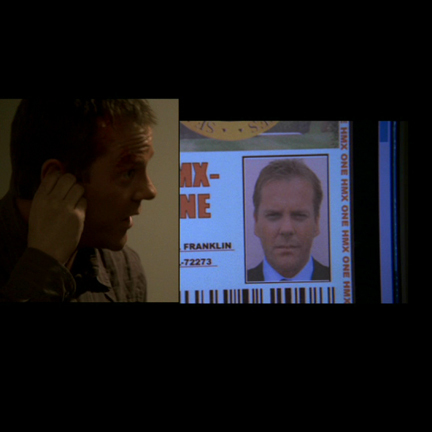 The paper prop document with plastic pocket holder was custom made for Mr. Sutherland’s use on the show and has the Presidential seal, “HMX-One” border, barcode, photo of Jack Bauer, and the name “”R. 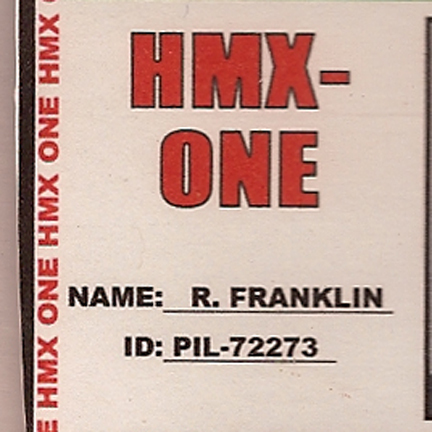 Franklin” and I.D. 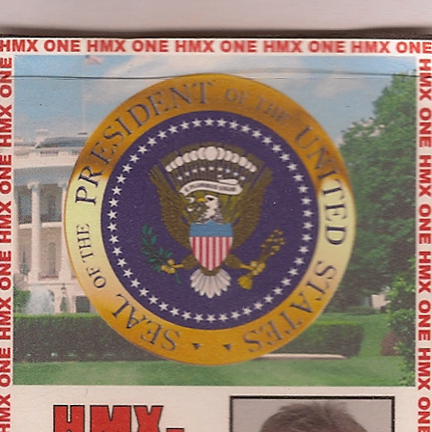 # “PIL-72273” clearly printed. 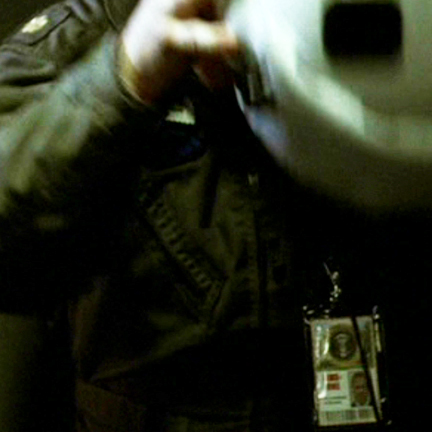 The pass comes enclosed in the screen used clip-on plastic sheath as seen in the show. 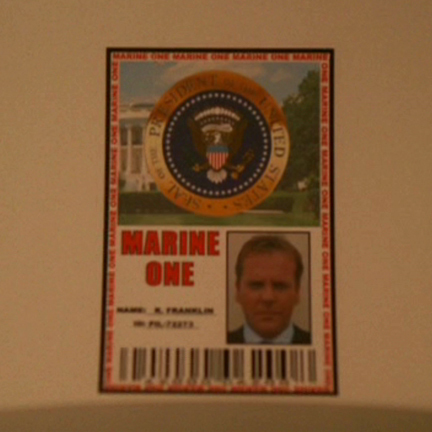 This prop identification badge was first seen in Episode 24 (Day 5: 6:00am – 7:00am) when Chloe O’Brian (Mary Lynn Rajskub) digitizes Jack’s photo onto the paperwork and then sends it to Mike Novick (Jude Ciccolella) who prints out the pilot’s reassignment paperwork and badge to send to the Secret Service outbuilding, allowing Jack access to the Marine One helicopter. 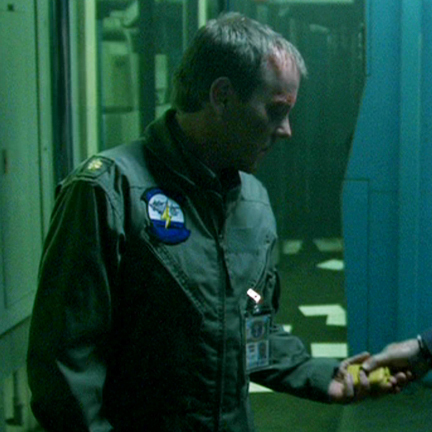 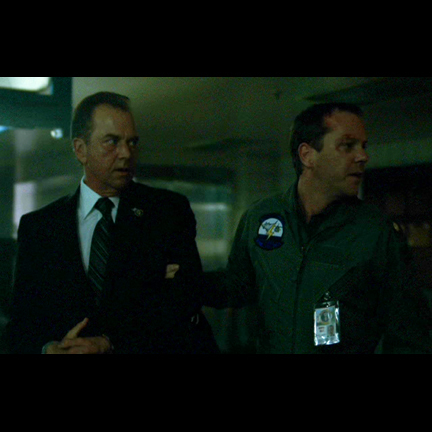 Jack can then be seen wearing the badge on his stolen flight suit in the following scenes when knocks out the original pilot and executes his daring plan to kidnap President Logan (Gregory Itzin). 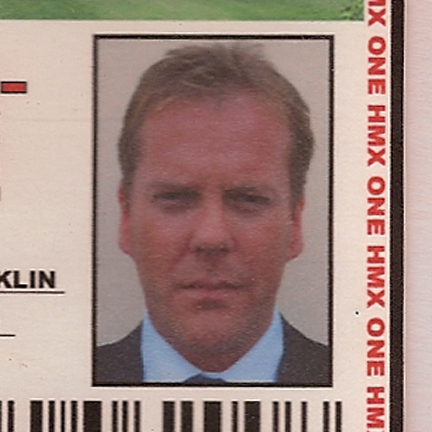 The prop badge and plastic sheath are in excellent screen used condition as seen in the episode.